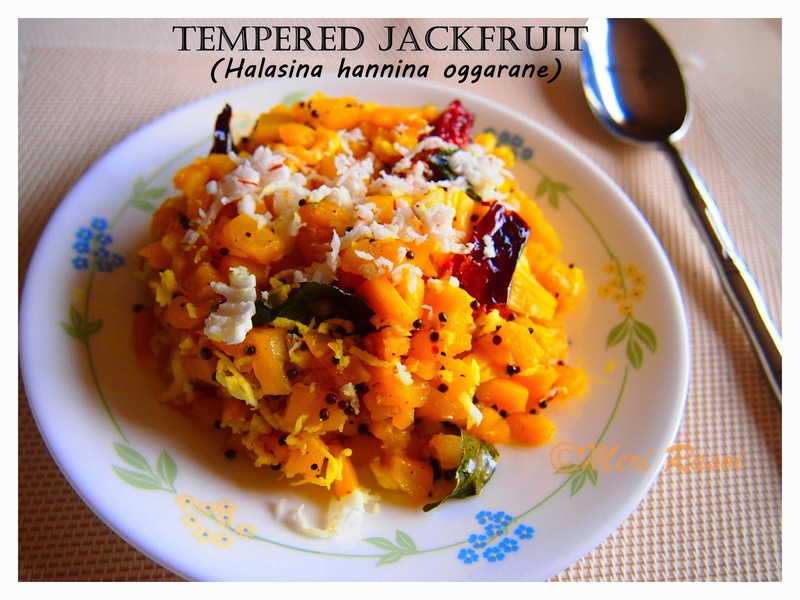 One of the quick dishes that my aunt used to prepare from the ripe Jackfruit pods was Tempered Jackfruits / Halasina hannina oggarne. Very easy to prepare and makes a great snack. You can also serve it as a part of the meal. Clean and deseed the jackfruit pods. Chop them into small pieces. Heat 1/2 tbsp oil in a pan. 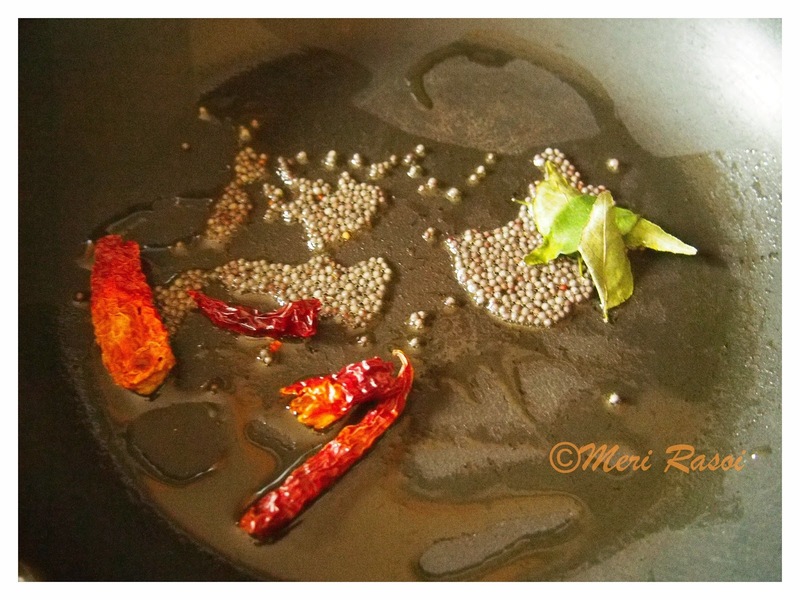 When hot, season the oil with mustard seeds, dry red chillies and curry leaves. Add the chopped jackfruit. 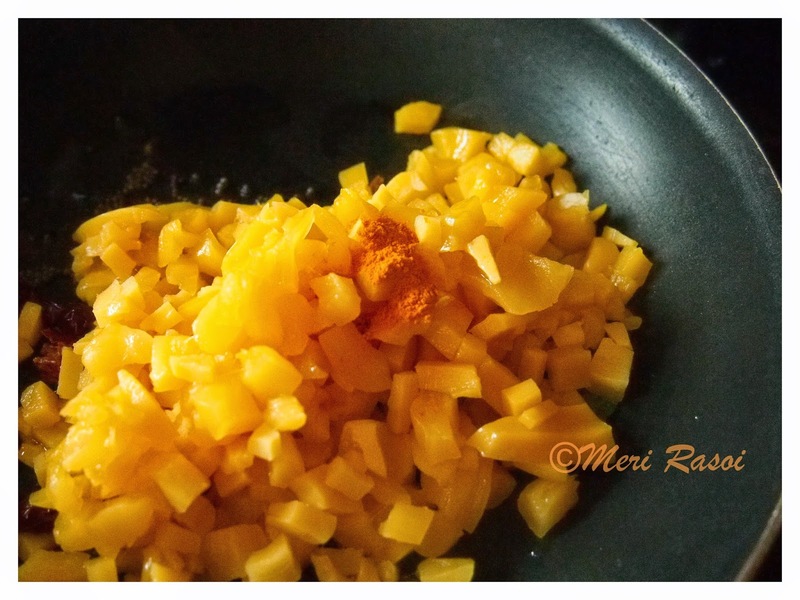 Add the turmeric powder and sprinkle some water. 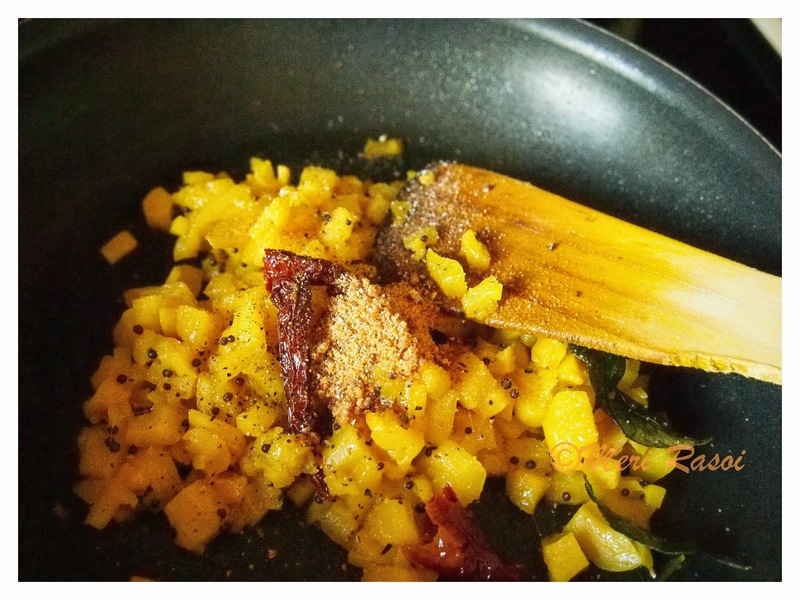 Cook covered in medium heat until the jackfruit is soft and tender. Add the jaggery powder, salt and pepper. 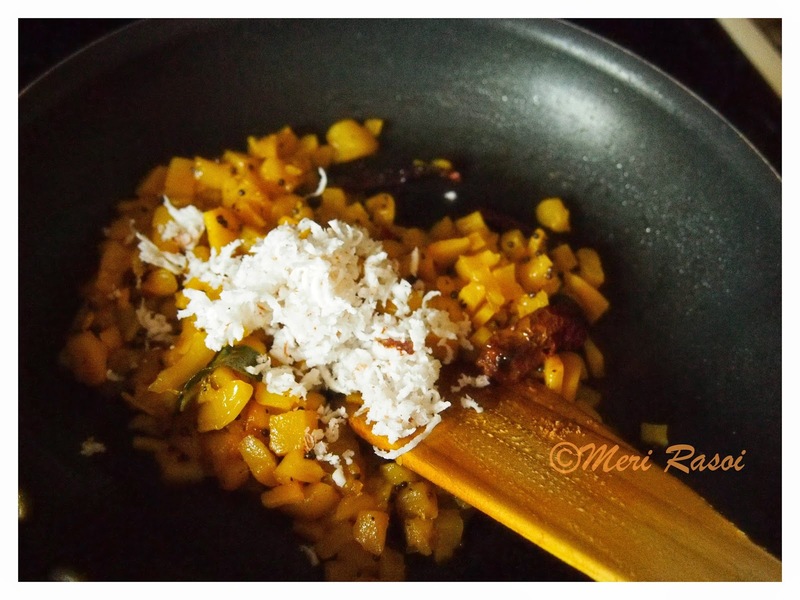 Lastly add freshly shredded coconut and give a final mix. Serve hot as a snack or a part of a meal. This one is made from ripe jackfruits and looks very interesting. Will surely try this one even before I visit Mom. Lovely pics Shubha. Wow!! its something new to me but the married of the flavors came out simply good. new dish to me..am a big fan of jack fruit! Yes, not a season for jackfruit..but was craving for jackfruit so much that got myself canned jackfruits.. Wonderful presentation, and this dish is totally new to me. 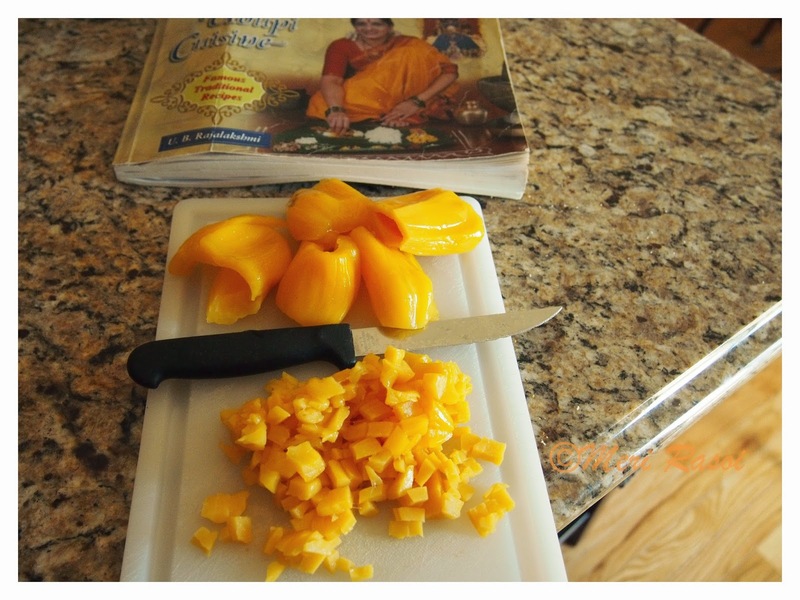 Sure to try in the jackfruit season. Bookmarked. 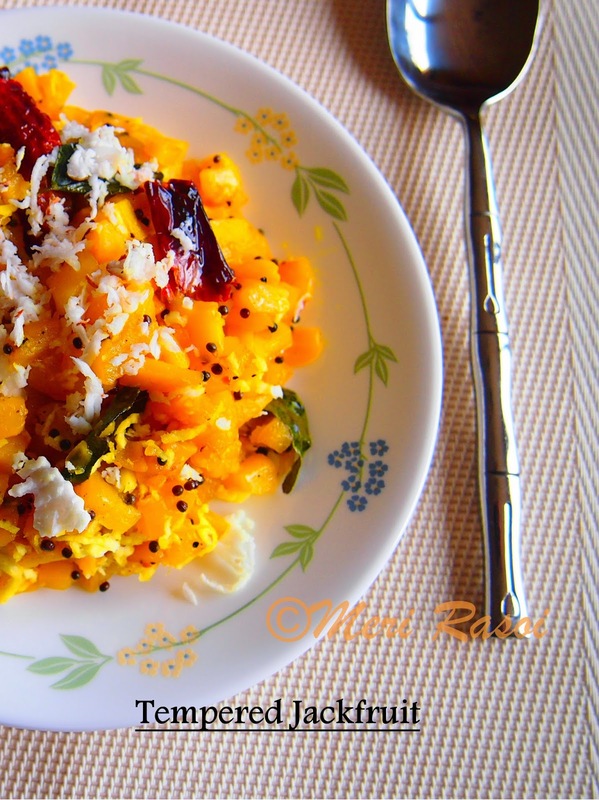 Looks colorful ,delicious and healthy dish ...need to try it. 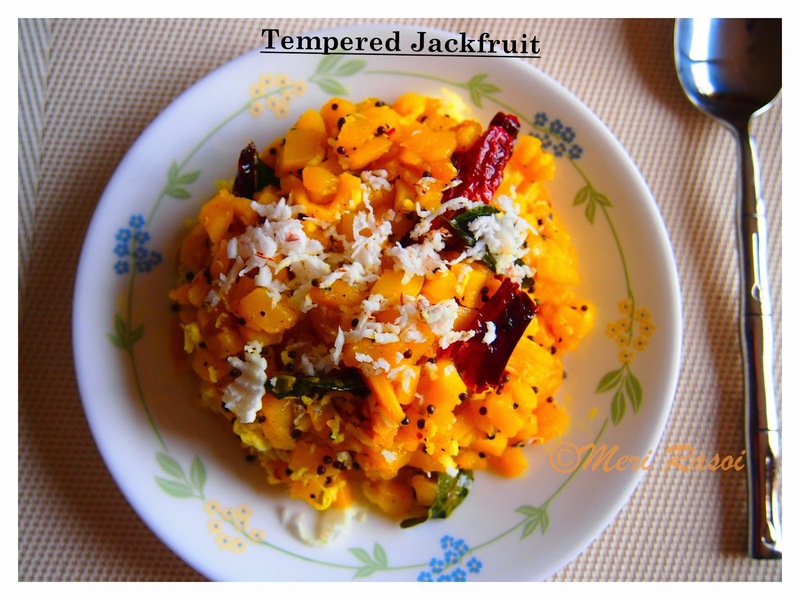 Like you, I am big fan of ripe jack fruit, by the time recipe process is on, 40% will gets disappeared, :):) you know, its too hard to resist the temptation. Coming to the recipe, I enjoyed reading it, that was the golden period of our life. You did full justice to this recipe adding very nice flavors. 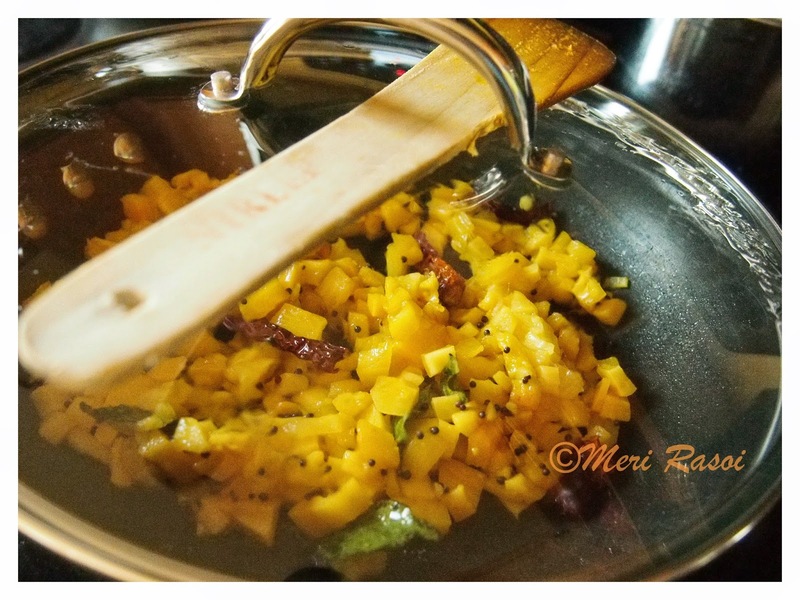 I loved the ingredients u have used in tempering and use of Jaggery coconut will give good volume. It will become very difficult to share this plate with any one as no one can eat just one bite. He He. See, at times difficult to hold flow of thoughts,shubha this is looking heavenly delightful. And very excellent clicked recipe images..
Great pics Shubha. Never heard of this dish. Very new to me. Thanks for sharing.